On weeknights, we need easy family dinner ideas that are quick to prepare, nutritious, and satisfying for the whole family. 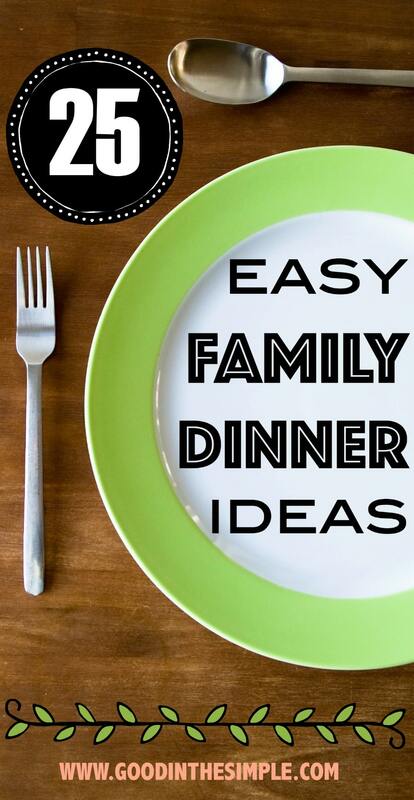 I created this list of easy dinners to help busy families eat together at home without stress. Because I love to cook, people often assume that I am constantly making dinner from scratch for my family. Not true. Sometimes even a simple recipe can be too much to deal with on a busy weeknight. I rely on shortcuts a lot when it comes to weeknight meals, but I also make food at home whenever possible for both budgetary and nutritional reasons. I like knowing what’s in our food and having control over the quality of ingredients I’m using. As a result, I’ve developed a list of 25 easy family dinner ideas that can be quickly put together. When making convenient dinners, I seek out the most natural, high quality food products I can find. These family dinner ideas do include some processed foods, but in many cases can be made using all natural ingredients. I tried to include a veggie, carb and protein in each meal idea. For meals where no veggie is incorporated, I usually just serve some cut up raw vegetables like carrots, tomatoes and cucumbers, a simple side salad, or a steam-in-bag veggie. Simply bake your favorite brand of frozen chicken tenders, and when they’re almost done, slather with your favorite hot sauce or BBQ sauce. Return to the oven until the sauce has soaked in and the tenders are crisp. 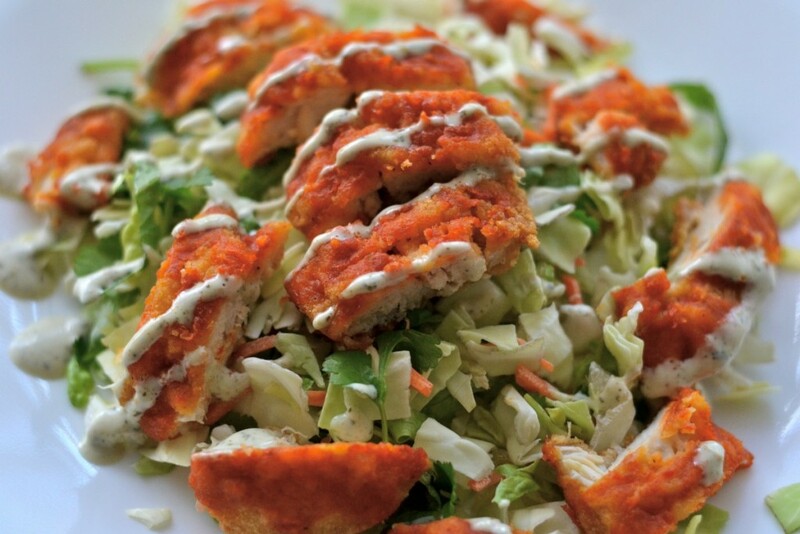 Cut up the chicken and toss with your favorite salad mix and ranch dressing. You can find countless options for pre-made sloppy joe mixes, including ones that are all-natural and even organic. Just brown some ground beef or turkey, add the sauce, and dinner’s ready! Serve on yummy rolls with cut-up veggies or a salad. I love to make my own pesto when I can (especially in the summer when fresh basil abounds), but you can find great store bought varieties as well. Just grill or saute some boneless/skinless chicken breast that’s been pounded thin and seasoned with salt & pepper. Slice the cooked chicken into strips and toss with cooked pasta that’s been combined with your favorite pesto. I like to toss in some lightly steamed green beans because they go well with pesto. I mentioned in a past post that one of the best things to buy at Trader Joe’s is their mahi mahi burgers. But even if you don’t have a Trader Joe’s in your area, you should be able to find similar seafood burgers made from mahi mahi, salmon or cod in your grocery store’s frozen fish aisle. Serve piled high with lettuce and tomato, and a quick homemade tartar sauce (just combine relish, mayo, and a little bit of cajun seasoning or hot sauce if you like some kick). Ham steaks are great because kids usually love them (at least mine do), and they come pre-cooked, so all you need to do is heat them on a stove until the meat begins to brown a bit on the outside. I love to serve ham steaks with some cauliflower that’s been roasted in the oven with a little olive oil and salt. You don’t need a panini maker to make these. Just toast some sliced ciabatta bread or rolls in the oven. 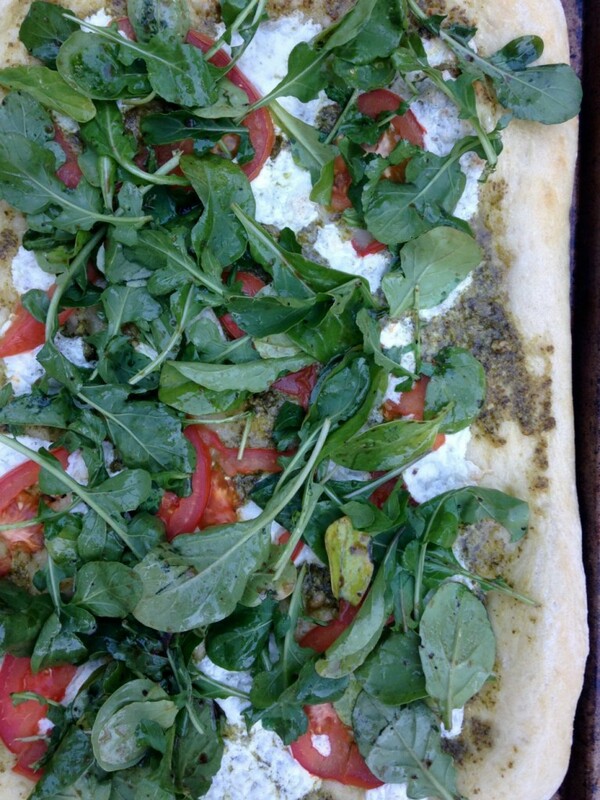 Spread with pesto, sliced tomato, a slice of fresh mozzarella, and some fresh basil leaves. Drizzle with olive oil, a little balsamic vinegar and a dash of salt & pepper. These salmon patties are so easy and tasty, and since you use frozen hash browns, the prep is super quick. My girls gobble these up, and we usually have enough left over for lunches or even breakfast (they’re delicious with a fried egg on top). Cook your favorite ravioli according to package instructions. In a skillet, saute a package of fresh baby spinach until wilted with a little olive oil, chopped garlic, a pinch of salt, and a squeeze or two of fresh lemon juice. Top the spinach with the cooked ravioli and drizzle a little olive oil and salt over the top. Boil the pasta of your choice. In a separate skillet, cook a few slices of bacon until crisp; remove to a plate and chop. Toss some halved cherry tomatoes and arugula into the pan and cook in the bacon drippings for a few minutes until arugula is barely wilted. Combine the tomatoes & arugula with the cooked pasta, bacon, and perhaps some parmesan cheese, adding salt & pepper to taste. Saute your favorite sliced sausage in a pan until browned. Add some drained white beans, chopped kale and some chicken broth. Cook until kale is wilted. If you want to add a little chopped garlic or lemon juice, that wouldn’t hurt. Serve with crusty bread. If you haven’t already adopted Taco Tuesday (or another day of the week) at your house, I highly recommend it! We’ve been eating tacos once a week for years, and we never seem to get tired of them. I do mix things up by using different meats, beans, shells, and toppings, but regular old ground beef + taco seasoning + diced tomatoes + lettuce + shredded cheese + hard shells is always a favorite. This is a perfect easy dinner, especially on chilly nights. Just heat up your favorite tomato soup and make a grilled cheese using any cheese and bread combination you like. Sharp cheddar and sourdough grilled cheese dipping sticks are my personal favorite. A grilled ham sandwich on rye is another winner in my book! I consider this the grown up version of the english muffin pizzas I used to eat as a kid. Keep some naan stored in your freezer and some pizza sauce in your pantry. When it comes to toppings, there are no rules. It’s a great way to use up leftover meats, cheese and veggies in your freezer and to allow everyone to customize his/hers however they want. Sometimes I use chicken sausage, sometimes I use meatballs, and sometimes I just brown some ground beef or turkey and add it to a jarred marinara. If I have frozen spinach on hand, I’ll toss some into the sauce to give it a little extra nutritional boost. This is a great way to stretch a good piece of steak and make it into a lighter meal! Cook or grill a lean steak and slice into thin strips. Bake some frozen fries. Serve the sliced steak & fries over a big salad of lettuce, cucumbers and tomatoes, drizzled with your favorite dressing and possibly some blue cheese. I love a good mesquite seasoning because it adds a smoky grilled flavor to food even if you haven’t grilled it (look for one in the spice aisle of your grocery store). Toss chicken or salmon in a little olive oil combined with mesquite seasoning and cook using the method of your choice. Serve with some steamed frozen corn or boiled corn on the cob. This can be a great meatless option, or a way to use up leftovers. Cook a russet potato in the oven or microwave until tender. Scoop out some of the center, spread with a little butter and fill with your favorite cooked veggies and/or leftover cooked meat if you have some to use up. Top with your favorite cheese and bake or broil until cheese is melted. 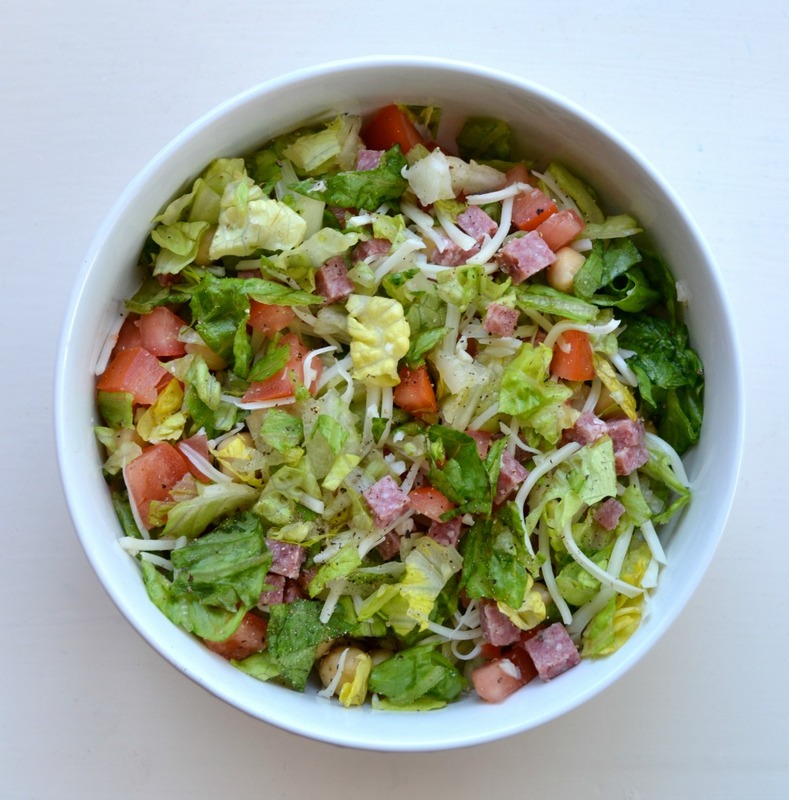 Chop up some romaine lettuce, tomatoes, and salami. Toss with shredded mozzarella, a drained can of garbanzo beans, and your favorite Italian dressing. These can be made with rotisserie chicken or any meat you need to use up. Top one half of a tortilla with chicken, diced tomatoes or salsa, and cheddar cheese. Fold and saute in some oil until the cheese is melted and the tortilla is starting to brown. If you want to boost the veggie factor, consider adding some cooked broccoli, onion, or bell peppers. Start with some good, soft pita bread. Warm it up, spread with your favorite hummus, and fill it with cooked chicken, sliced cucumber, sliced tomato, lettuce, and red onion. Top with some tzaziki (which can usually be found in the hummus aisle of the store). 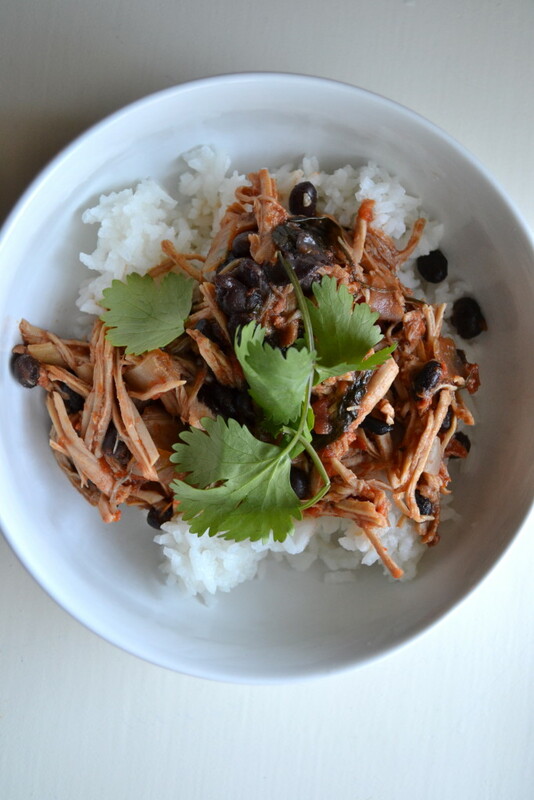 There are some great pre-made simmer sauces out there to use when cooking pork or chicken in a slow cooker. After the meat is done cooking, serve it over rice, heated canned beans (pinto or black), shredded cheese, and the toppings of your choice. I shared my “recipe” for ham, green beans, and potatoes last year, but it’s not actually a recipe as much as an assembly. You simply buy some ham hocks, green beans and potatoes and put them into a slow cooker with water. This is one of my favorite family dinner ideas for nights when we can’t all sit down and eat at the same time. Whether you’re using homemade meatballs that you’ve frozen, or store bought frozen meatballs, just toss them into your crockpot with a jar of your favorite marinara. Set it on low (or high if it’s just a few hours before you want to eat). 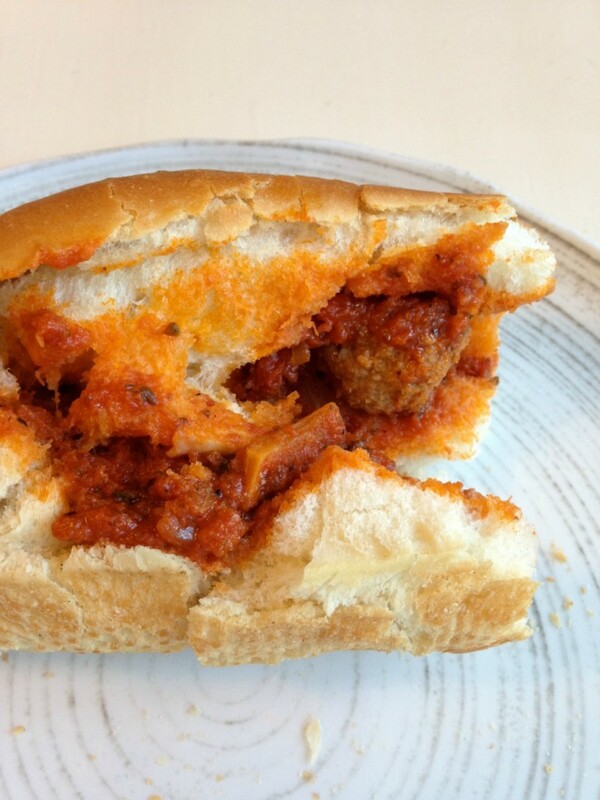 Serve with some great crusty sub rolls and parmesan cheese. You can use fresh sliced peppers, but if you want to save time, most grocery stores sell a bag of mixed frozen bell peppers. Just toss the peppers in the crockpot and place the sausage on top. Serve “as is,” in a roll, or over pasta or rice. Hopefully you’ve found at least a few things on this list that your family will enjoy, and that will help make your weeknight dinners a little easier. Feel free to share this list of easy family dinner ideas with any friends who are struggling with figuring out what to make for dinner. Now that you’ve got lots of easy dinner ideas, it’s time to start planning. Plan to Eat is my favorite meal planning website. I can import recipes, drag them into my weekly calendar and print a shopping list to take to the store. It makes life so much easier! Many of these would be great for me. I’m a 72 year old widow and struggle with cooking only for myself.